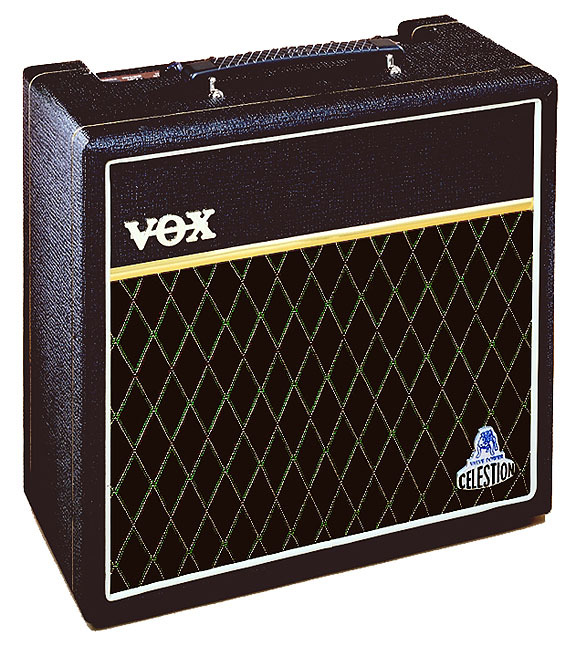 The Cambridge 15 is a small hybrid 1x8" 15 watt combo amp that was introduced by Vox in 1999. It has all the Vox cosmetics right, including gold string in the cabinet sides, top, and bottom. 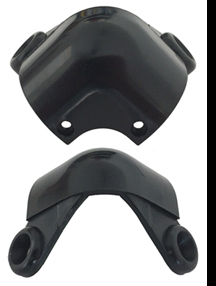 Later Vox models in the low to mid price range would drop this cosmetic touch. This was also one of the the first amps that Korg/Vox produced in significant numbers with black Vox grill, as were the original Thomas Vox Cambridge amps from 1965-1969. The Cambridge 15 has one 12AX7 tube in the preamp section. This tube adds both warmth and natural compression to the tone of a guitar. In addition to Volume, Treble, Bass, and Tremolo Controls, the Cambridge 15 has both Gain Boost and MRB (mid range boost) push button switches. 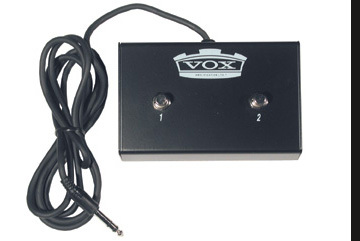 Like several other small Vox amps produced in Korg/Vox in this era, this amp did not include reverb. An 8" special design Celestion "Bulldog" speaker is mounted inside an open backed cabinet. A "Valve Power - Celestion" nameplate adorns the lower right corner of the grill. An optional VFS2 footswitch allowed the Gain Boost and Tremolo functions to be accessed remotely. The V9169 was discontinued by 2002.
and optional foot switches for the Cambridge 15 amplifier.